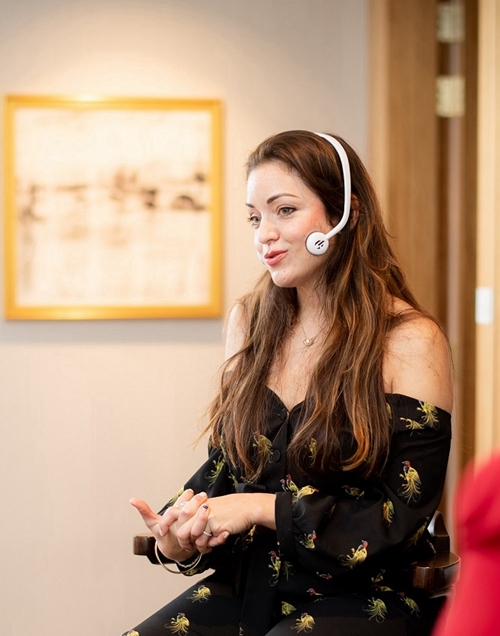 (Macao, Jan. 2, 2019) – Sands Resorts Macao’s award-winning Le SPA'tique at The Parisian Macao and Bodhi Spa at Conrad Macao, Cotai Central have partnered with New York based celebrity facialist Georgia Louise to offer a unique and ground-breaking facial treatment incorporating the new GloPulse high-tech wearable device designed for salon and home use. The Angel Glo facial created initially to treat the Angels before they walked the 2018 Victoria’s Secret Fashion Show is exclusively available in Asia at Le SPA'tique and Bodhi Spa. Based on a range of natural products from Georgia Louise and utilising her non-invasive lift and sculpt beauty tools alongside gua sha massage, the skin is transformed to become beautifully runway worthy. Created to feed the skin with an abundance of nutrients and moisture binding ingredients that instantly lift and brighten, Angel Glo incorporates a Glo enzyme peeling mask under an LED face and neck mask to stimulate collagen production. The Ice Cryo massage using Georgia Louise cold freeze tools then awakens dull skin and improves blood circulation. A bamboo sheet mask soaked in iodised natural active ingredients works with the brand new GLoPulse galvanic current headband, allowing its active ingredients to penetrate much deeper than traditional masks. Galvanic current also stimulates blood circulation and refines pores. Finally gua sha massage, an ancient lymphatic drainage technique using rose quartz stones, provides the finishing touches. Offering luminously clear, fresh-faced, beautiful skin, the 60-minute Angel Glo facial treatment is available at a special price of MOP 1,450* (or MOP 2,500 including the GLoPulse device to take home, GLoPulse sheet masks are sold separately). Le SPA’tique at The Parisian Macao is a fully integrated luxury spa, offering 12 treatment rooms, vitality pools and lounges, sauna, steam room, experience showers, a barber shop for men, hair boutique with nail treatments and retail boutique with a full selection of LING skincare and lifestyle gift items. Providing a timeless experience with Chinese influenced aesthetics in bespoke boutique style, Le SPA’tique’s results-oriented treatments are creatively developed, focusing on individual needs to provide the optimum, personalised spa journey. Bodhi Spa specialises in Ayurvedic, European and Asian treatments. The signature Ayurvedic spa experience offers a choice of three levels of massage while other options include facials, body scrubs, baths, wraps and reflexology. Products utilised in spa treatments include luxury brands from France and the UK, using the finest quality, premium grade essential oils in holistic, soothing therapies. The most recent addition to Bodhi Spa’s comprehensive range of treatments is the innovative new Himalayan Salt Stone Massage. Photo caption: Based on a range of natural products from Georgia Louise and utilising her non-invasive lift and sculpt beauty tools alongside gua sha massage, the Angel Glo facial was created especially for Victoria’s Secret. 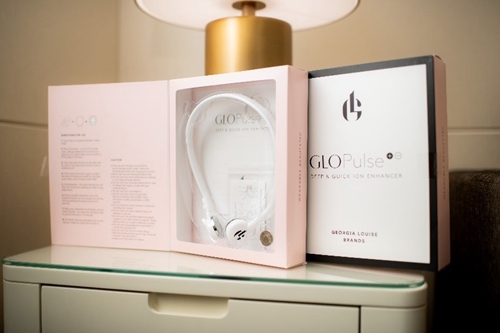 Photo caption: The new GLoPulse headband from New York based celebrity facialist Georgia Louise uses galvanic current to allow greater penetration of active ingredients while stimulating blood circulation and refining pores. Photo caption: The new Angel Glo facial and GLoPulse headband are now available at Le SPA'tique at The Parisian Macao and Bodhi Spa at Conrad Macao, Cotai Central.